From innovator to market leader, 27 years in the making. The man behind Binary.com is founder and CEO Jean-Yves Sireau. An expert in entrepreneurship, software development and financial derivatives, Jean-Yves founded his first company in 1991, at the age of 21, to develop financial software for the French brokerage community. In 1993, he founded Fortitude Group Inc., a Hong Kong-based investment fund specialised in dealing futures and options on the Hong Kong Futures Exchange. From 1997 to 1999, he developed the systems and algorithms that would become the foundation of Binary.com today. Jean-Yves’ idea was to implement a fixed-odds financial trading system that would give ordinary investors the chance to make small trades. With fixed-odds trading, risk is limited because investors cannot lose more than their initial stake. Prior to this, binary options were mostly traded in large quantities by big banks and hedge funds. 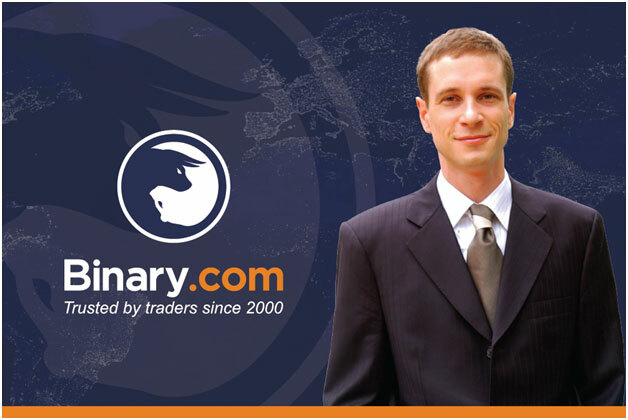 Founded in 2000, Binary.com (then known as Betonmarkets.com) was the first online trading platform to offer binary options to retail traders, sparking off a market revolution. Eighteen years on, Binary.com now offers a variety of trading options on its easy-to-use platform designed for new and advanced traders alike. Through the years, the platform has earned an enviable reputation for its commitment to high ethical standards and the quality of the trading experience provided. It caters to all markets and conditions such as currencies, indices, commodities, and more in rising, falling, sideways, quiet, and volatile markets. With a comprehensive suite of products available, Binary.com has the most flexible, competitive and transparent pricing. Customers can benefit from the same rates of return as interbank traders as prices are benchmarked daily against the interbank options markets. Besides offering different trading products, Binary.com is one of the first financial firms to open-source front-end applications, allowing other developers to review or adapt their front-end code. There are APIs that allow clients to leverage Binary.com’s patented trading technology. This means that you can build your own binary options trading platform without having to start from scratch: just adapt Binary.com’s front-end code to build your own application, using the APIs to communicate with Binary.com’s trading system to calculate the price of each contract. 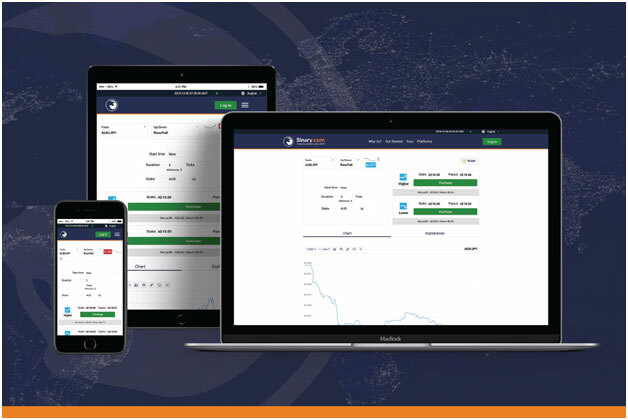 In November 2016, Binary.com expanded into Forex and CFD trading via the MetaTrader 5 multi-asset trading platform, offering ultra-competitive spreads and leverage, zero-commission trades, and new assets such as cryptocurrencies. Currently, Binary.com handles an average of 36 transactions per second and over 1 million transactions a day, 24/7. Admittedly, many risks and challenges exist within the industry. There is always competition from companies with greater financial and technical resources. Binary.com looks at every potential risk very seriously. Over the years, processes are implemented that allow continuous risk assessment and management, including the setting up of an internal audit team that regularly reviews existing systems, processes, and controls of high-risk areas including IT security, payments, and regulatory compliance. Binary.com’s conduct as a business is heavily driven by its core values: integrity, tolerance, diversity, and equal opportunity, which are deeply embedded within its company culture. Binary.com’s long-term growth strategy is primarily focused on four key pillars: technology, expansion, customer experience, and branding. Plans include high-growth initiatives involving development of offices and related licence applications in strategic jurisdictions; enhancement of technology and IT infrastructure to enhance competitive advantage; increase in digital and automated marketing spend; and further development of operational resources by expanding technical, customer support, and business growth capacity. With decades of industry experience, Binary.com has been established as a market leader in online trading technology and the future looks brighter than ever. Join traders worldwide who trust Binary.com’s proven track record since 2000. Start trading at Binary.com with a free virtual account today.